When it comes to some of life’s most profound questions—the origins of life, of matter, of the universe itself—does modern science already have everything all figured out? Many scientists would like us to think they are steps away from solving all the deep enigmas of physical existence. 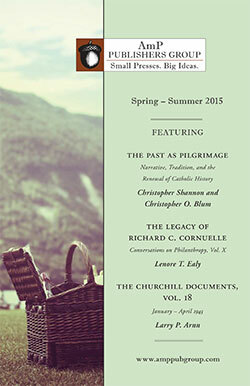 Consummate skeptic David Berlinski shows that all such confidence is at best a bluff. In essays about evolution, using humor and wit Berlinski shows how lost today’s scientists really are. The Deniable Darwin frees us from the superstition of preening scientism and illuminates the path to a renewal of real science. 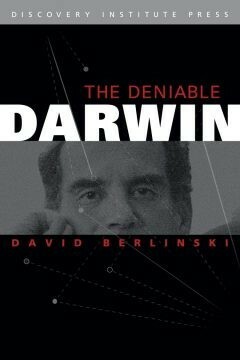 Berlinski wields his famous skepticism excluding neither Darwinism nor intelligent design from his critical eye. Included among the 32 essays spanning 15 years are his award-winning essays “What Brings a World into Being?” and “On the Origins of Mind” (Best American Science Writing 2002, 2005 respectively). David Berlinski is a senior fellow in the Discovery Institute’s Center for Science and Culture. He is the author of numerous books, including The Devil’s Delusion: Atheism and Its Scientific Pretensions. Berlinski received his Ph.D. in philosophy from Princeton University and was later a postdoctoral fellow in mathematics and molecular biology at Columbia University. He has authored works on systems analysis, differential topology, theoretical biology, analytic philosophy, and the philosophy of mathematics, as well as three novels. He has also taught philosophy, mathematics, and English at Stanford, Rutgers, the City University of New York, and the Université de Paris.